For many women today, fashion is not just an option but a way of life. A woman wants to be able to reflect her own sense of self and style, and CAR|2IE thrives on that belief; where imperfection equals perfection. CAR|2IE is about expressing designs that have a structural form, yet maintain their femininity and emphasise proportion. Our new range focuses on creating a strong silhouette with creative details in fine quality providing you with a wide variety of styling choices. We match components of masculine tailoring to feminine chic elements that provide a refined, striking look. 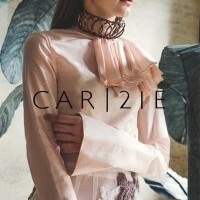 Luxurious and daring, CAR|2IE garments are perfect for creating an inspired style suited to everyday wear that can reflect one’s mood and lifestyle.